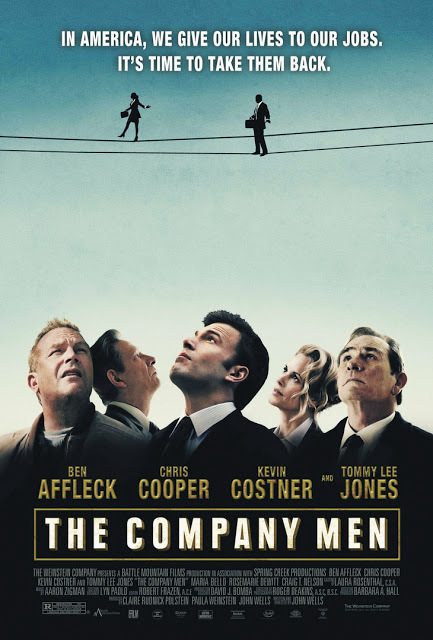 “The Company Men” is over two years old now, but there are still many themes and ideas from the film that ring true. 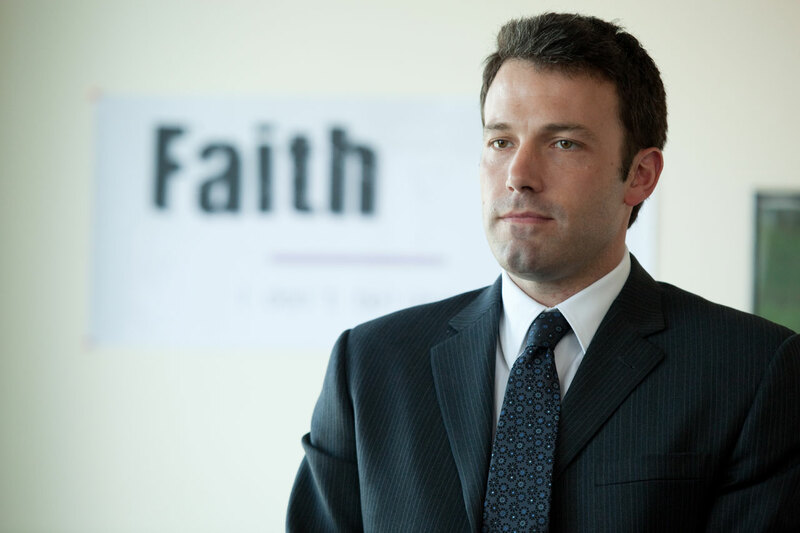 Ben Affleck stars as a man who is downsized at the peak of the recession from a company that provides global transportation. Over the events of one screwed up day many of us have lived through ourselves, he is laid off, to trim the fat. This is still happening rampantly in America; sometimes it is to boost stock price, sometimes it is a company’s survival method before they plummet to their eminent death. 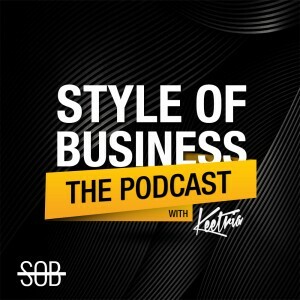 Entrepreneurs and folks who want to make it on their own have many lessons to learn from this film, even though it is about a salaried worker who is not an independent businessman. In the beginning, the firm provides the laid off folks with a type of cross training or in house unemployment/placement agency. At first things seem all right, but after a few weeks everyone starts to get angry when no one calls them back and they are truly twiddling their thumbs. There is a first valuable lesson here; patience. If you have an idea, smartphone application template, or book that you want to market badly, there are several realities you must face. The first is trying to make money before your idea takes off. This is now harder than it ever has been in our country. If you are over even age 40 these days, you WILL be passed over on the hiring platform. The reason why is simply rising healthcare costs and competition; today’s hiring culture values youth. So where on earth can you earn money while you are waiting for your idea to take off? If I was very crass or unsympathetic, I would tell you to work fast food, restaurant, etc. But since I am an entrepreneur myself, I happen to know that not having the aptitude for those things doesn’t make you lazy. But in reality if you have no experience doing this kind of work, you probably will not get hired in this market anyway. And so there are some things you CAN do to help yourself. If you have any computer skills whatsoever, you can try to narrow in on your local real estate market. If you send out emails to successful real estate agents with your vision and what you could do for them, it may not matter if you know nothing about selling homes. Real estate agents are a primary source of “side work”, or people who need tasks done and will pay for them. With the market in a bit of an uptick right now, they may need data entry, call backs, graphic design or blog writing. Realtors can help you on your way to marketing your own product or becoming free. Even though they get a bad rap, they’re individuals in your city who may be looking for contractors. In “The Company Men”, Affleck takes a job doing construction with a relative. In a funny moment, he asks the co workers “Where are we eating today?” The co workers pull out their tin lunch pails, and he realizes that in the new economy, he may not be eating out for awhile. It is not portraying Affleck as spoiled or unthankful; rather someone who was living under a different set of economic rules. If you are working on something or an entrepreneur, taking another form of job to get by can crush your dreams. You are so tired by the end of the day that you may not have any more energy to put into your brainchild. You can’t let this happen; so many in today’s climate do. When you’re closer than ever to making it, your friends and family will tell you the opposite. If you are doing something in sales where it’s all commission, people will have no faith in you. They will tell you to get an 8 dollar an hour job at Wal Mart and will respect you more. It’s only because they themselves are afraid of success. If you have to work at Wal Mart, that’s fine, but I am telling you to not pay attention to your peers after a certain point. You will be able to gauge when you can succeed and fail. In the end of this movie, Affleck finally ends back up with some of his co workers at a new job. It’s in a bit of a rundown location, and they are going to have to play by new economic rules. But the moral at the end of the movie is that they are so happy just to be making income again. When your product or idea finally starts generating revenue, you may be so exhausted and out of it that you don’t have time to celebrate. Don’t forget to do this! There will be more hard work to do in the future, but later we will talk about setting up your billing structure, dealing with irate customers, and knowing when you yourself have to trim to make ends meet. Until then, stay in the race and read everything about marketing and your competition that you can get your hands on… you’re going to need it! And if you are sitting with an HR manager at a part time job to bridge the gap, and she tells you that you are a risk because you have bad credit… you can always tell her that most CEO’s had bad credit on their way up. What do you have to lose? There’s more than one way to play by these new rules. Stop Hesitating, 5 Reasons why you should Start your Company Today!